Most athletes attend community college to further their playing careers, but 20-year-old tennis captain Manish Kumar was a pro before he ever stepped foot on Pierce’s campus. After having his tendon removed due to an elbow injury, Pierce College tennis captain Manish Kumar continues to pursue his love for the sport while maintaining a college education. At 16 years old, Kumar started playing professional tennis. In his two years as a professional, Kumar went traveled to many parts of the world for various tournaments. 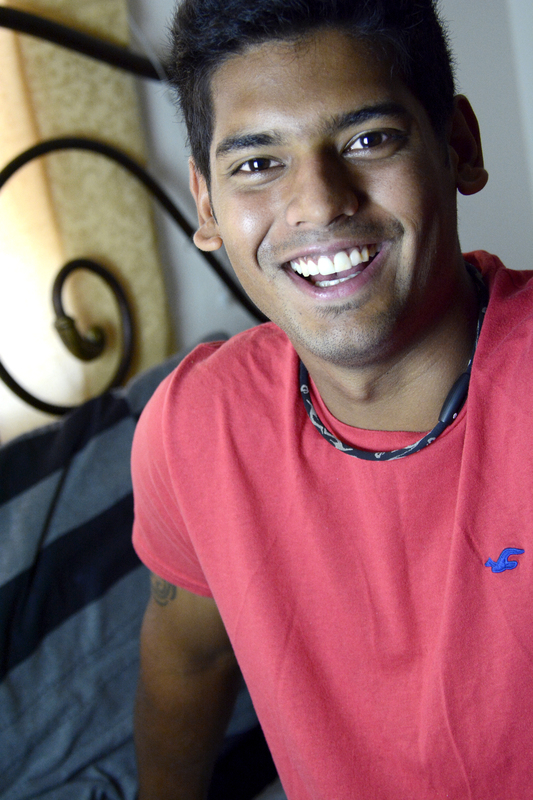 Kumar decided to move from his home in India to America to continue his education while playing for the Pierce College tennis team. After attending Pierce for only eight months, Manish believes that he made a good decision starting off at a community college. Kumar had no intention of playing tennis professionally. When he was 10 years old, his parents encouraged him to pursue a sport in order to lose weight. “Back when I first started playing tennis, I was just a fat kid who needed to lose weight. I had a couple of options but I decided to stick with tennis. I never imagined I would play professionally, but I ended up loving the sport,” Kumar said. Although Kumar never saw himself playing professionally at such a young age, his parents saw potential in him from the moment be began playing. Kumar’s father, Pravin Kumar, began noticing his commitment for tennis. Unlike many kids his age, Kumar had to give up time with friends and adjust his diet and lifestyle to achieve the level of play that he expected of himself. Pierce tennis head coach Rajeev Datt said that Kumar chose to play for his team due to the guidance that Datt was able to provide. Datt stressed the idea that although he loves his job as a tennis coach, he believes his team is capable of much more. Although Kumar will continue to play tennis as long as he is physically able to do so, he hopes to eventually transfer to a four-year university. He plans to double major in human resource management and marketing. Kumar is certain that playing professional tennis has shaped him into the person that he is today.